After taking seven points from three games this week, and winning the Manager of the Month award, Darren Moore should be proud of what is a remarkable achievement. The spirit and resilience that the team has shown in each of the last three games has been a massive factor in them being able to continue this unbeaten run. It has been enough to overcome their defensive frailties and, as the season goes on, that resilience could be a decisive factor in the promotion race. As the players left the field at half time in the game against Reading, there were boos at the Hawthorns. Albion had not played well, they were losing and it looked as if the unbeaten run was coming to an end. It was not an unfamiliar feeling. It was the same on Wednesday evening, albeit away from home, but on both occasions, Darren Moore’s team has shown the ability and resilience to come back and take something from the game. And then at Preston last weekend, the hosts’ equaliser could have demoralised a lesser group, but they went straight up the other end to regain the lead and ended up with all three points. The team is far from perfect, but this week has been massive for the Baggies, and it shows how far the club has come under Big Dave. Six short months ago, the club was fractious, lacking in any sort of fight, sinking without a trace. Moore came in and changed everything. He may have failed to keep the side in the Premier League, but he restored some pride and earned his appointment as the permanent Head Coach. The summer produced new challenges, but he faced them all and, by and large, came through them well. Not every fan will agree with the new signings, but the way he handled the Dawson situation was, in my opinion, first class. He may not yet be back to the player we know he can be, but there can be no doubt that Dawson is back on side and giving his all for the club, and Darren Moore deserves huge credit. That situation was typical of what can happen to relegated clubs, particularly those that have been in the Premier League for a number of years. You would normally have a group of players demoralised and out of form, although the late season rally will have mitigated that to a degree, but there are also some that can’t wait to get out, or feel they deserve to play in the top flight. Plus they are all taking a pay cut as well. When Megson and di Matteo took Albion back up at the first attempt, it was with sides that had expected to be relegated, and with a squad that had already won promotion and so knew what it took. This team contains a few players that have won promotion, but this is new ground for most and, as I pointed out the other week, the core philosophy of the team needed to be changed. 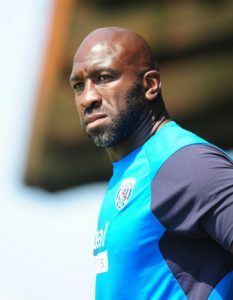 That is still a work in progress, but the three games this week have proved to me that this squad has the fight and spirit to win promotion, and Darren Moore deserves huge respect for engendering that spirit. At Hillsborough, they were two very poor goals that Albion conceded in the first half, and it needed some clever tactical changes as well as the requisite spirit to get back. Against Reading, it was once again a poor goal, and the Royals could have had one or two more in the first half as Albion failed to really get going. While the defenders are continuing to make mistakes, I still think that the issue in the first half was in midfield. Albion had the possession across the back line, but there was so little movement in front of them, that they inevitably came under pressure. The absence of Matt Phillips has been huge, and I think the poor performance of Tyrone Mears today was more to do with him having to play three games in a week more than his lack of ability. Although we musn’t overlook the fact that it was his cross that was nodded in by Gayle for the all-important equaliser. After his wonder goal on Wednesday, I was surprised to be disappointed by Harvey Barnes’s first half performance against Reading. The visitors packed out the middle of the park meaning that Livermore and Barry were struggling to find space, and I felt that Barnes didn’t show himself enough. Too many times, he was on the wrong side of the pitch or hiding behind a defender. Rodriguez was constantly moving around trying to make himself available, but Barnes didn’t do enough. 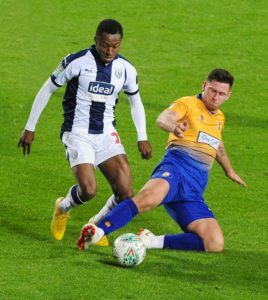 Whether Moore and Jones had the same view, I don’t know, but he was much better after the break and, for me, that change was a major reason for Albion’s success. He looked much more eager to receive the ball and it was one such occasion that led to his goal, completed with another sublime finish. Furthermore, the substitutions were hugely important. Albion may have been back in the game by the time the first substitution was made, but the introduction of Brunt, in particular, was key in the Baggies securing the victory. I thought Livermore had had a decent game, to be fair, but Brunt’s ability to find the right pass over the top was influential in Albion’s improved attacking display. Of course, I must not forget to mention Kyle Edwards on his League debut for Albion. Edwards is a striker but came on to replace Tyrone Mears at right wing back, and performed admirably. It was perhaps handy that he was on the same side of the pitch as Darren Moore, as I saw Big Dave giving him plenty of encouragement, but I thought he looked comfortable in what was an unfamiliar position and certainly offered another attacking outlet. He didn’t have too much to do defensively, so it’s not clear whether he would be an option to start in that position, but Moore’s decision to put him there shows that he has great confidence in Edwards’ ability. He moved into the number ten position when Barnes went off where he would have been much more comfortable, and I think he should be very pleased with his overall performance. Albion head into the international break on a seven match unbeaten run, having taken 17 points from the last 21, and are in second place just one point off new leaders, Sheffield United. Let’s not kid ourselves, however, that it’s all rosy. 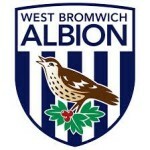 The Baggies were fortunate to take anything from the trip to St Andrew’s, they could have easily been further behind at Hillsborough last Wednesday before the comeback and Reading could have scored two or three in the first half. However, they have been good enough and strong enough to take advantage of their good fortune, and that can only be a massively positive sign. The first half on Saturday was, perhaps, the most disappointing of the season so far, and yet we ended up winning 4-1. It is proving to be a hugely entertaining season and I would challenge any Albion fan to say that they enjoyed Pulis’s last full season (when we finished 10th) more than they are enjoying this one. And I can only see it getting better. As Moore and Jones continue to work with the team, I feel confident that the performances will improve, and coupling that with the resilience that they have shown this week could well see the Baggies back in the top flight come May.